You've spent the $20-something on the Raspberry plus few additional bucks on peripherals, such as mains charger, HDMI/RCA/Ethernet cable, mouse, keyboard, extra hardware to build your automated cat feeder, Pi-Radio You could've done that by buying professional (I mean branded and specially built for that purpose) in almost the same price. But you've decided to do it with Pi. Maybe you wanted to look cool, feel geeky. Maybe you wanted to show off in front of your friends your fancy stuff. Maybe you like DIY and it's your hobby Maybe you are a system admin, developer, programmer, coder, and you already know all the things I write about. That's fine. Me, being a newbie, send you regards, hoping one day I would be as good as you with Linux. But why a Pi? It's one thing to start your Raspberry, install some stuff, configure your coffee machine and leave it lying somewhere. You have Raspbian installed and running. The GUI works fine, but you are getting tired of changing your desktop themes. You keep seeing this "terminal" thing. I've been using the machine for a week now, and although I'm not planning for the time being to turn it into any kind of cat feeder or jukebox, I find it a pretty well built and useful device. Thanks to the Pi, I could finally start my own web service. Believe it or not, Raspberry Pi isn't just another gadget, that differs from your laptop or PC. They're the same in every way. But it's better from your Windows PC in a way that it's small - you can place it anywhere you want. It lacks cables (as you can access it via SSH) to skirmish with, it's silent (no fans, freezers, liquid nitrogen tanks to cool it) and it can be switched on all the time. But most of all - it runs on Linux OS. This means it has lots of possibilities of configuration, tuning, securing, hacking. But Linux is not just another window-based OS. Although most Linux distributions implement GUI management of the system, still, most of actions are done from command-line interpreter (shell) level. In most cases it's called bash. There is no other way to learn shell than by practice. Of course, there are various websites that explain bash in detail, giving you insight into shell programming, but the rest it's all yours. Once you've got the basics and started experimenting, the coding will become a pleasure. It's worth learning shell scripting, as in most cases it provides simple, one-line solutions for problems you may come across. GUIs are helpful for many things, but not for all. Whether you like it or not, at some point you'd have to open the terminal and be greeted by the world of keyboard inputted commands. Once you've learned how to bash, your Pi would work better, faster, you might also find yourself using the shell more often than GUI. 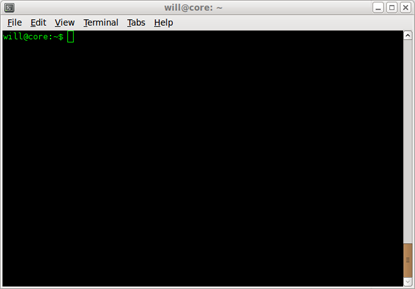 If you're a newbie to Linux and Raspberry, next time you log into your machine, try the shell. It's not that hard as you might think! Here are some websites you might find useful when learning shell.